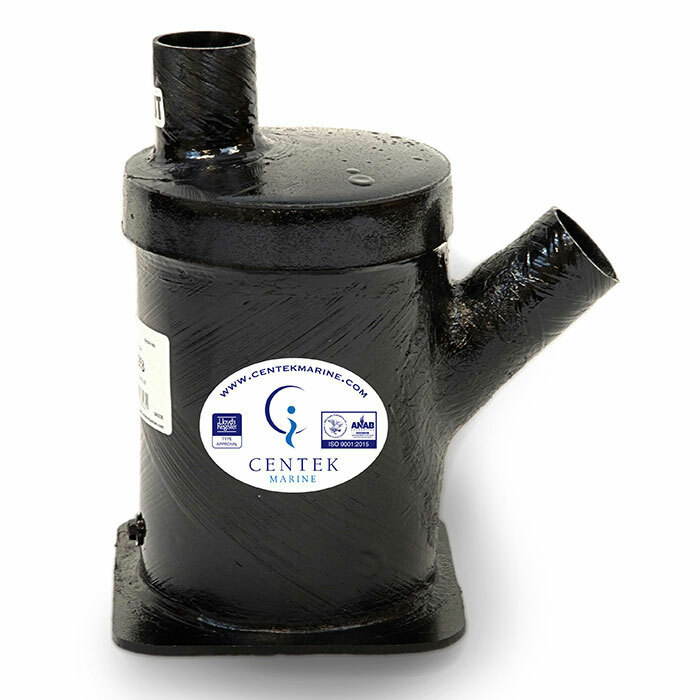 The Centek Vernalift™ muffler is designed for use with inboard motors, sailboats & on generators installed near or below the water line. The Vernalift is extremely effective in reducing engine exhaust noise and preventing water from returning to the engine.This strong and effective design exceeds ABYC specifications. F- Inlet and outlet offset: 2.50"
S- Base: 10.50" X 10.50"